The Master Level Symbols courses are available to those who are already working with some form of energy based healing practice. These energies can help to raise our energetic vibration quite significantly! Our Master Level Symbols courses present a wonderful opportunity for healing & personal growth as they can help to clear away a wide range of impurities from within. Due to the slightly higher vibratory nature of energies begin worked with during these courses, we have been guided to include a number of pre-requisites and it is important that you complete these pre-requisites prior to receiving these Master Level energies. May you enjoy these courses and may they help to bring more love, light & purification into your life! 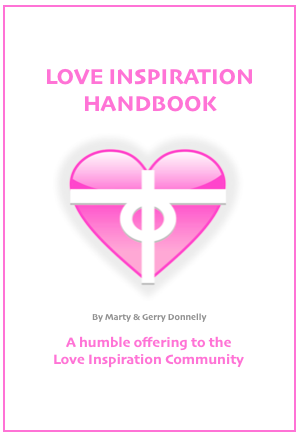 Love Inspiration has received a number of healing energies and teachings from a wide variety of 'Divine Guides' or 'Higher Spiritual Beings' in what has been a series of intuitive communications over many months and years. The Master Level Symbols courses that you find here below have also been received directly from our Guides and as we ourselves have moved through more layers of healing and purification. It therefore seems likely that more Master Level symbols will be bought through as we continue to progress. For now though, we hope that you enjoy these beautiful healing energies - may they bring much light into your life and please continue to check back to see if there are any new healing energies which may be relevant for your pathway forwards. These Individual Master Level Symbols courses are all very easily learnt in around 1 - 2 weeks and will give you access to one Master Level symbol. We hope you enjoy connecting with these beautiful Master energies in your healing practices! These beautifully gentle and loving energies of Heartfulness help to bring a beautiful growth and depth to our understanding of love & one-ness. This symbol will help you to shine & radiate love outwards for all to benefit and as such, it is a wonderful symbol to work with in any meditation and/or healing practice. This symbol is best used in the heart chakra however can be used in other areas of the body to bring more love, light & understanding to that particular area of the body. The healing practices for this course are very simple and also very flexible which means that you can complete this course within 7 days in around 10 minutes per day﻿. We hope that you enjoy these deeply loving energies and may it help you to radiate out love for all beings to benefit from! The master level energies of Cellophyte are particularly helpful for deep cleansing & purification and can therefore be used in helping to heal & re-balance a wide range of impurities & imperfections. These energies being worked with through this Master Level Symbols course will be a valuable addition to any divine healing toolkit as it can be used in both your healing work for others as well as in your own personal meditation. These energies are also complementary to other forms of energy based healing and will often help to deepen or intensify the healing & purification being received. ​love, light & joy in your life! helping to raise the vibration of the collective consciousness. more unity, love & harmony into your life for the benefit of all! These Master energies were brought through to Love Inspiration through intuitive communications with Quan Yin as we were completing our Karuna Reiki Mastership. We were told that these energies help to connect us more deeply with the divinely feminine energies of Quan Yin as we extend and expand on the compassionate energies of Karuna Reiki. 20 - 30 minutes per day﻿. Through a connection with the Eye of Compassion energies, there are many kinds of energetic impurities that are able to be released during this time as you build and strengthen the compassionate energies within you! email us or alternatively fill in our contact us form with your query and we'll be happy to help. The Maitrijusha Master Level Series is a very special and unique set of Master healing energies. These courses are best used in conjunction with our Ascension Pathways and will help you to ascend more easily and with more love & tranquility. We are delighted to offer you these courses to you here and may they help to bring more love, light & peace into your life! These beautiful ﻿M﻿﻿aitr﻿ijusha﻿ energies help to magnify and unite other energetic frequencies and are infused with a very deep love vibration. These teachings will therefore help you to bring together many different healing energies into your practice so that you can reach a deeper and more profound state more easily. For example, you may wish to bring together the energetic frequencies of Usui Reiki, Kundalini Reiki, Celestine Reiki or the Divine Light frequencies - these teachings will help you with this. ​to explain more about these techniques and healing energies. In the words of the Guides, "Maitrijusha Gold Eternity brings a deepened ability to heal at a most fundamental and ‘root’ level. It’s energies build on top of the Maitrijusha Gold Infinity healing capacity to create an expansive yet deeply focused energy frequency, to bring healing to the darkest states of our suffering. The symbol holds the integrity, wisdom and direction to guide instantaneously to the home of the suffering (root cause issue) and bring it into the light for healing. It helps to bring the darkness into the light in order to fade the fear and attachments associated with the pain." "At this point in your evolution you are streaming with light, however the intense brightness is now bringing out the shadows of darkness that have been hiding, buried deep in the cracks of your etheric reality. In order to desiccate and remove these hidden darknesses, you must now open a new vault of intellectual and astute intelligence, that being the Maitrijusha Complete. The elegance and fortitude provided in its energy is somewhat beautiful, yet profoundly simple in a most intimate way."